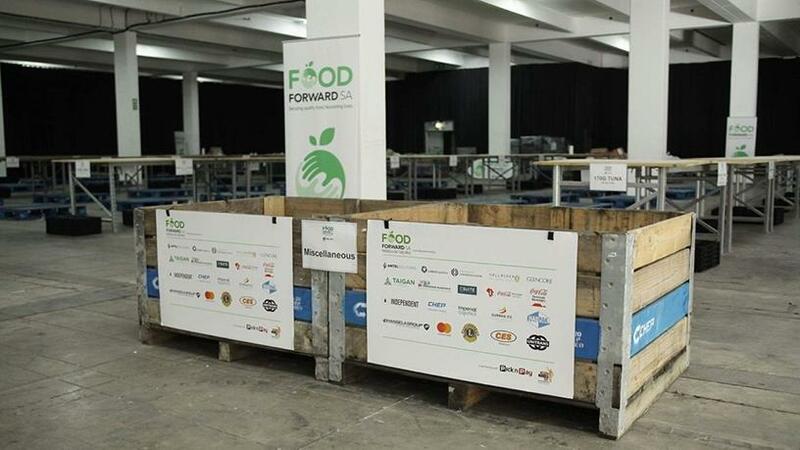 FoodFoward SA's new FoodShare platform debuts to combat food insecurity. FoodForward SA, a non-profit organisation, will now use the FoodShare Digital Platform to do its charity work across the country. FoodFoward SA recovers surplus food from the local consumer goods supply chain for redistribution to registered non-profit bodies. The organisation needs a detailed logistical operation to collect, sort and warehouse surplus food from donors and distribute the products to beneficiary organisations. Andy Du Plessis, MD of FoodForward SA, says the new platform will enable the organisation to increase its reach while facilitating easier collection. "FoodShare virtually connects registered beneficiary organisations that need food, to retail stores or food outlets that have edible surplus food. Beneficiary organisations go regularly (by prior arrangement with the store) to collect the surplus food. "When the beneficiary organisations arrive at the store, they send FoodShare a notification via USSD (no cost to the beneficiary organisations). Once FoodShare receives the notification, it sends an auto date stamped authorisation code, to confirm the beneficiary organisation is the authorised collector. Once the store staff see this, they hand over the surplus food. The beneficiary organisation sorts the food into six categories, weighs it and sends the tonnage info to FoodShare via USSD or their Web console," he notes. Du Plessis adds that the system was officially launched this month, but has been live since March 2017. "The entire development of FoodShare took 18 months to perfect." In 2017, the organisation provided 17.6 million meals to 600 non-profit organisations feeding 250 000 individuals. To date, the platform has 140 beneficiary organisations linked to 152 retail stores and food outlets for regular collections. "A third of all food produced in South Africa is wasted, while more than 14 million people go hungry each day. Additionally, 75% of toddlers are fed an inadequate diet. By using surplus food in the food chain, we can facilitate the provision of a meal at only 79c a day or R300 a year. But there is huge scope to increase the reach by using FoodShare. The scale of the need is vast and technology is key to unleashing the real potential of food banking. Current year to date tonnage (six months) is at 2 067 tons of food," says Du Plessis. "Since the technology is user-friendly, and there are no costs, wherever there is a retail store or food outlet, we can recover edible surplus food, especially in distant rural areas." He adds that the platform can be applied nationally, including distant rural areas, as long as there is a retail store or food outlet, allowing for greater access to food for the poor. The platform is able to track inventory, measure tonnage distribution, and allows for real-time data by creating donor or client dashboards, offline vetting and assessments of potential beneficiary organisations, compile quarterly offline monitoring of approved beneficiaries and automated recovery slots if the assigned beneficiary organisations can't collect. The organisation is looking at adding other features, including automation for allocation collections and getting farmers on board to get agri-surplus produce. "FoodShare hosts a myriad of data that is able to inform decision-making, provide real-time demographics and reporting. It is a game-changer for addressing food insecurity in South Africa because it allows us to address the problem at scale, allowing for food to be used to feed people nationally, and increases variety of the food," Du Plessis concludes.